There’s fake news permeating the current market narrative: this bull market is over eight years old. For whatever reason, people are willing to regurgitate this inaccuracy over and over again until many market participants believe it’s true. 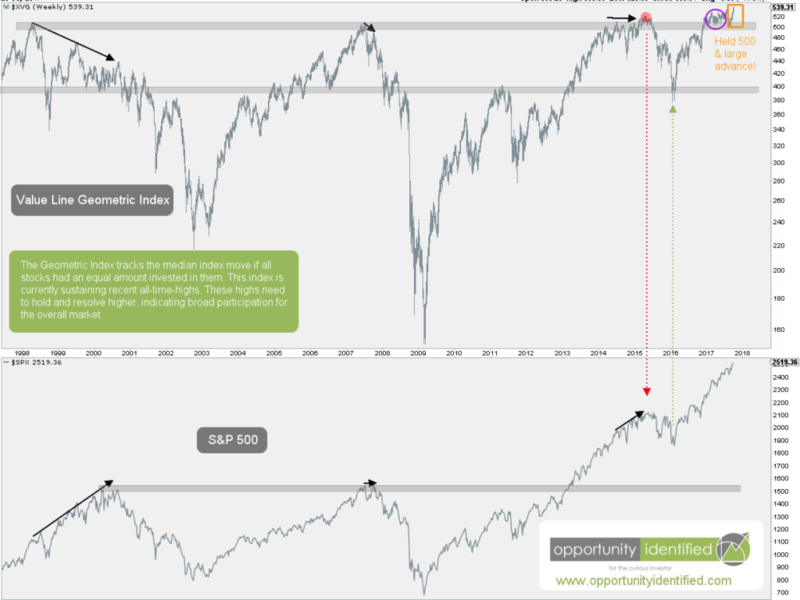 Yes, there was a significant bottom to the U.S. stock market (using the S&P 500 as our reference point) on March 6, 2009. Your math is correct to calculate 2009 as being eight years ago. However, we don’t determine the length of bull markets from a bottom. We determine bull market length based on new highs. For example, we don’t say the 1980s/90s U.S. bull market began in 1974. Rather, that a U.S. bull market began in 1982 after going nowhere for over 10 years. These are just some examples, but they’re a good representation of what was going on globally. Large-scale bear markets. Not a month long, but double-digit months to years long. Many of these have not even made new highs yet, which is over 2 years of going nowhere. We would argue we are far from euphoria and somewhere closer to skepticism and optimism. Without a doubt, we will have more corrections along the way, but there’s a real chance that February 2016 marked a major and significant low for the foreseeable future. As always, we’ll use price, not fake news and market narratives, to guide our decisions. Last time we checked, new all-time-highs are not a characteristic of bear markets. While all bear markets start from all-time-highs, not all-time-highs start a bear market. With many U.S. Indices recording new highs last week, we see uptrends still intact. And new all-time-highs have a tendency to make traders and investors nervous. In the end, we don’t need emotions involved in our investment decisions. We need to use hard data and the weight-of-evidence to guide us. And since we’re students of the markets and use intermarket relationships as part of our approach, we can look across sectors, industry groups, regions, and asset classes to get a top-down, big-picture view of market health. 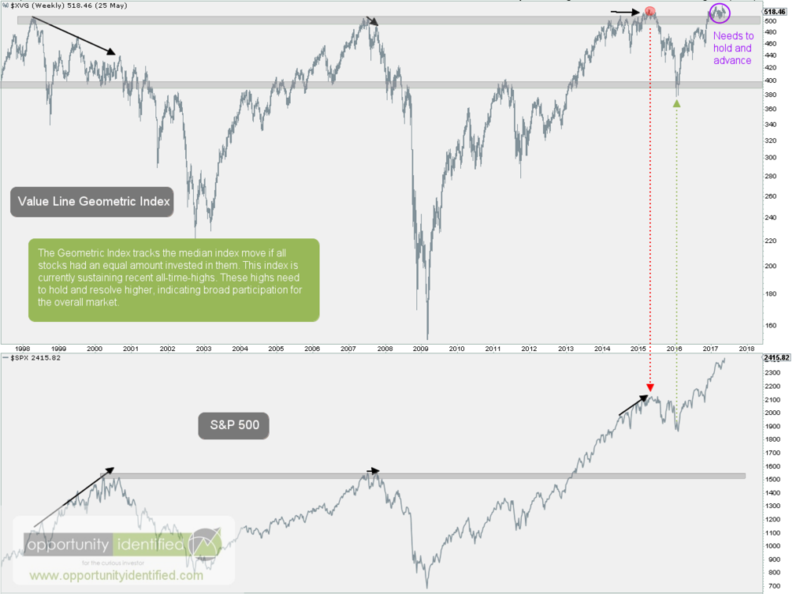 As part of that exercise, we want to see what areas are not making all-time-highs. Simply, as all-time-highs in U.S. markets are recorded, are there any important areas not currently joining the uptrend party? This is called divergence. Once such divergence market bulls need to keep an eye on is the Transportation sector. Take a look. For many logical reasons, the Transportation sector is a bell-weather sector. This means it gives important clues about overall market health. This is due to its economic importance. If there is no demand to transport goods and commodities, it is logical that overall demand for those goods and commodities is to be desired. Many reading this will identify this relationship in regards to Dow Theory. For brevity’s sake, we’re not going to get into the nitty gritty of Dow Theory. We’ll save that for another post as it’s an important tenet of technical analysis. For now, we’ll observe the relationship in the chart above. Right away, we notice the Transportation industry giving important clues to market health in late 2014 through 2015. As U.S. markets were making new highs (using the S&P 500 as our proxy here), the Transportation sector was not. It was diverging. Making lower highs and lower lows. By very definition, this was not an uptrend. Rather, it was a downtrend. A downtrend that signaled caution for the overall market, which ended up selling off hard in July 2015. It came as no surprise when the S&P 500 bottomed exactly when Transports did the same. Together, they recorded higher highs and higher lows, the most significant new high coming in early November 2016. Since then, U.S. equities have been ripping. However, with last week’s new high across many U.S. indices, the Transportation sector recorded a divergence as it did not follow suit with new weekly highs. 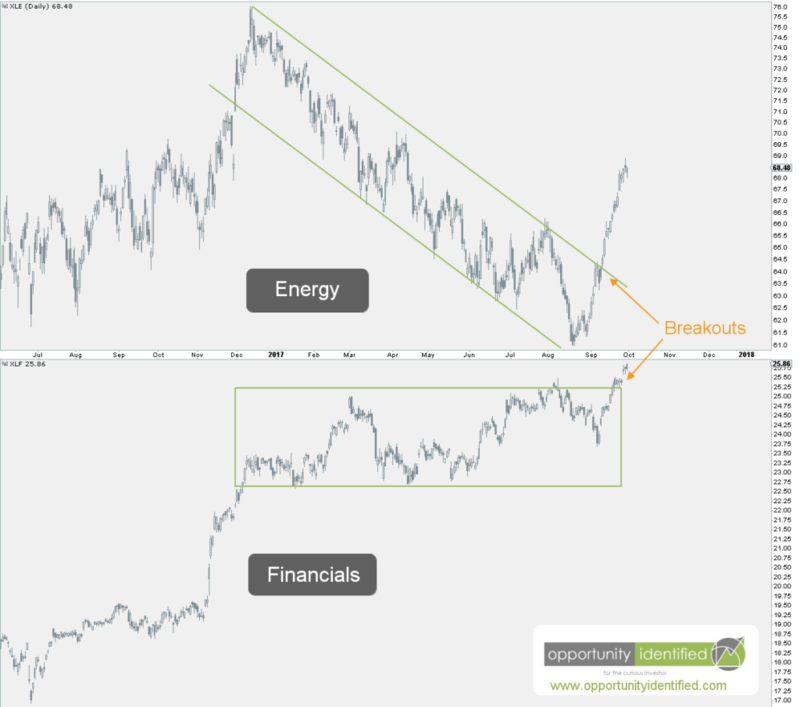 This is an important divergence bulls will want to see resolved to the upside. A breakdown here (below $160 using IYT, an ETF for the Dow Jones Transportation Average), would be problematic for broad market health. Conversely, if bulls are going to see this market continue to rip higher, we need the Transportation sector to participate. A new closing high above 170.74 would clear this divergence and indicate ongoing health for the overall market. Keep your eye on this one. AND, you’ve got FREE access to an investing tool we’ve created, The Ultimate ETF Cheat Sheet. It’s an easy-to-use resource guide.